I know that I've seen both homemade and commercial portable support benches for grand actions, but I can't seem to find them now. I have problems lifting heavy (and wide) items, so I'd need some kind of portable (as in able to transport by car) table/wagon, preferably on wheels, which could serve as a work bench for a grand action. Does anybody know of a manufacturer, or has anyone made a clever own version for this very purpose? Mine is not elegant but it has worked well for many years and is reasonably compact. I simply built two light duty horses (standard 1 x 4 lumber), hinged at the top so they collapse, rope holds them open at the bottom to the prescribed width (and provides some adjustability for uneven situations). A piece of plywood of sufficient size makes the top surface. (This does not really need to be as big as the action). That's what I have used for 30 years or so. Partick, try Chris Brown's regulation tools...pricey, but may be what you are looking for. Chris Brown makes THE best surface available for replicating the keybed. However, to my knowledge, portability is not one of it's strong points. LaRoy Edwards designed a lightweight, portable grand action dolly which was available through Edwards String Covers at one time, and more recently from Bolduc Pianos and, possibly, from Brooks, Ltd. A knock-off was made by Flugelbauer, but don't know if that is still on the market. We use this all the time for just the reasons you mentioned. Great tool! Chris Brown's product line looks truly awesome, someday I just have to have one of those... but LaRoy's action caddy is EXACTLY what I'm looking for -- thank you so much for the tip! I found a YouTube video in which he is demonstrating the caddy, and I can't wait to get one. This is the only way I can keep pulling the action out of the cavity and stay fit to work on the action afterwards. ... oh no... it seems to be impossible to buy LaRoy's caddy by now, I can't find any place that stocks it. If anyone happens to know where it would be possible to get one, I'd be very grateful. If it's unavailable, make one yourself. It doesn't look too difficult. The slots would be the hardest part, and those are easy too. Give us a call 800-326-2440 or email me at brooksltd@sbcglobal.net and I will send you details. Thank you so much, Melanie, I just emailed you! Original Message------ Chris Brown makes THE best surface available for replicating the keybed. However, to my knowledge, portability is not one of it's strong points. I've messed with various ways to accurately replicate keydip outside the piano. One question I have on the Edwards style cart, is that with just two balance rail adjustment screws, dip is very coarsely duplicated. I actually find the replication quite misleading, and don't use that style of outside the piano duplication, despite the great portability of the idea. My question is, with a very coarsely duplicated dip, how do you use that to set an accurate backcheck line? ...I should say, setting this line and proving soft check consistency is my Achilles heal in regulation...so I'm always looking to improve my not so golden spots. Any words of wisdom on how you achieve this aspect with the Edwards cart? We don't routinely use the Edwards caddies for regulation. When we do, we reposition the action from side to side a few times in the process, to get those inverted guides to do their thing properly. At the school, shop associates typically work in teams, and usually wind up putting the action on a furniture pad on the front lid/flyleaf. (There is often not enough space in a practice room for the caddy with someone working at it, and it is easy enough to lift the action up there with two people.) Most of the time, this produces enough aftertouch to get the job done. When I am working alone, I usually opt for having the front rail in my lap, the back rail on the keyed, and my micro-adjustable knee(s) strategically placed under the balance rail. I give it enough "umph" to roughly recreate the key dip, and monitor the results with periodic reality checks back in the piano. I've heard of people wedging the balance rail glides on a table (or wedge the work surface itself from underneath) to achieve the needed dip. That works, but I haven't done it myself. Reliable back checking on soft blows (without sacrificing drop) does seem to be one of the holier of the grails of regulation. Like you, I reached a point (a number of years ago) which dead-lifting a Steinway D action was possible but hard, and I knew that time was passing. 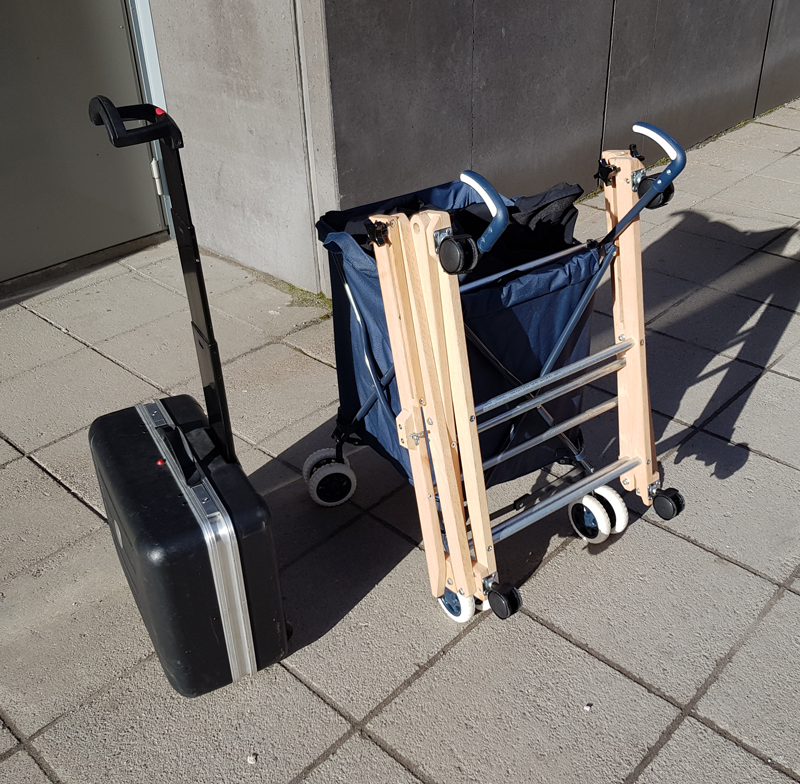 I found a folding action cart made by Norm Cantrell, and it has done an excellent job for me. It is lightly built, just strong enough to do its job, but not heavy to carry. As for doing regulation with the action on the cart, what I do is set samples in the piano, and then I use Jon Page's brilliant and simple "Taut Line Regulation Gauge", which lives in my kit folded into a business envelope. Pianotek sells it. When people first see it, they think that the very modest price is still a lot more than the materials cost -- but one is paying for the extremely intelligent idea, not to mention the ability to work away from home using a tool which weighs about an ounce. If one sets up the cart and taut line tool so one is looking at it against a dark background, with the line set at the exact letoff line, it is very easy to see when the hammer will just touch the taut line. Much easier and more accurate than the conventional set up on my work bench at home. Another product which has helped me is the "Versacart", sold on Amazon. It is rated for 120 pounds, weighs very little, and folds up so it can be tossed into the back seat. The woman technician who told us about it put in a photo of it holding her action kit, a box or two of tools, and a Kawai grand lyre was laid on top. She instantly sold me on the idea when she said that her folding action cart will hang on the handles. Norm's will, though I have to turn it diagonally to put it on. Here's the Versacart. I think I'll buy a spare, because I certainly don't want to be without one. The only failing I see in it is that it is awkward to get up a flight of stairs. It even has a flap with velcro to keep the rain out. Like you, I was recently tempted by watching LaRoy Edwards' YouTube of his action caddy. I kind of wish I had bought one earlier. I found the Flugelbauer site, but their version also didn't appear to be for sale either, and I liked LaRoy's version with metal instead of all wood better. I suppose I might manage to look very carefully at his YouTube and build myself one, but I probably will just carry on with what I have now, which works okay for me. An SD10 action is in the pix. A second board could be placed on top of this one, Then the action could spin around without loosing my bearings. 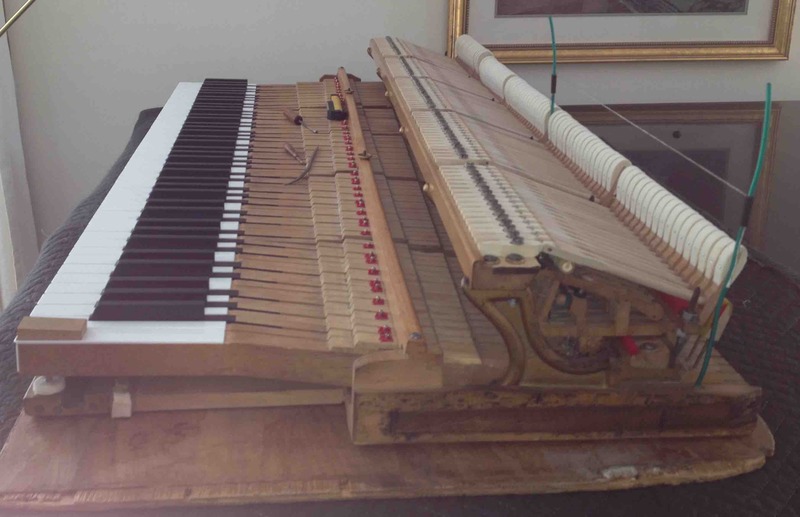 A thin strip could be placed under the balance rail if key height is needed and punchings could micro adjust the dip. Dip is set in the piano, the block is there to duplicate the dip. TLRG: Don't leave home without it. Jan Otto's secondary use of it is to slide the line to the ends of the verticals and use them as handles to check crown under the board, another brilliant idea. Do the TLRG uprights mount on the stack screws? The bracket screws secure them. Yes, the screws secure them, therefore in moving to a neighboring section, you only need to release one of the ends and pivot around the other one. TLRG -- I really should buy a few spares. They would also make good gifts for any piano tech who doesn't already own one. I am also very impressed with Norman's cart. He does also sell a folding table top for it as well. Seems like it was very fairly priced also! I use the Edwards cart at the school but it not only does not have a top but I'm not sure it's stout enough for one. It is VERY impressive for sliding actions in/out and rolling down the hall, etc though. Norman's would probably be a better fit for trying to serve as BOTH an in/out cart and also somewhat of a portable regulation table. I got hold of Melanie at Brooks Ltd., and will hopefully get the caddy from her. Mark Adams mentioned in this thread that the caddy is available from Jahn (can't believe I missed that, being a regular customer at Jahn's, thanks Mark! ), but it's quite pricey compared to getting it from the US, so I go for Brooks Ltd. if the one caddy left is still in stock. I'm also impressed by Norman's caddy/bench, and might get one in the future. For now, the LaRoy caddy is exactly what I need. I'd like to take this opportunity to thank all of you for your help! 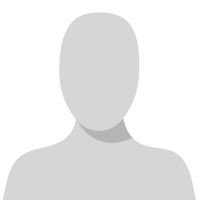 This forum is of invaluable help to me; this community is extremely helpful and helps me keep in touch with fellow techs and colleagues despite me being quite isolated up here in Finland. Much appreciated! Patrick, I predict you will ADORE the Versacart! No more hauling gear in multiple trips, no more juggling too many things and dropping some, no more heavy lifting and trudging from a distant parking place for an institutional tuning. It carries the kit, a water bottle, my purse, lunch, and whatever else I need to carry, including Norm's folding cart hung on the handles. I even carried an action stack (no keys) vertically in it, with one hand on the top of the stack and the other on a handle. Just wanted to add my voice in endorsement of the VersaCart. I use one in my private work, and another at the school. It is everything that Susan says it is, plus it is an easy way to transport things that may be awkward to carry. Surprisingly sturdy, yet light-weight and compact. Just talked to LaRoy at our chapter meeting and Jane and Susan get the last two. He said the assembly time is too much. He's almost 90 as he put it. He looks really good. I didn't know he had designed the upright action cradle. He was giving away some old tools, proto types. I got the antique square grand double headed tuning lever,,, Don't tell anybody. Maybe Laroy would sell the design sheet? Let's see,, I got the pin setter that keeps the pin from turning, A wooden string height gauge. A custom block for setting the jack sideways in the rep lever hole with out removing the wippen. LaRoy is awesome,,, the Guild should honor him. Keith, please thank LaRoy the next time you see him! What a neat guy! As soon as one of his caddies is available for me, he can just tell me how much money to send, and I'll write a check. Looking forward to this, but I don't want LaRoy to get exhausted doing it, either. Susan Edwards and Jane Edwards are his daughters,, they get the two that are left. He said he might be able to put together one more for me if I really wanted it,,, $500. Ah, forgive me for jumping to the conclusion. Yes, Keith. LaRoy is truly one of the giants amongst us. I am not a betting man, but I would bet that a strong majority of us use at least one tool that he invented, whether we know it or not. Anyone who has ever taken a class from LaRoy knows that he is one of the greatest teachers we have ever had (and with the most students, too!) Some years ago, there was an effort to create the LaRoy Edwards Teaching Award, to recognize excellence in instruction. Perhaps it is time to revisit that idea. If I had a vote, I would certainly be on board for that kind of thing! > Yes, Keith. LaRoy is truly one of the giants amongst us. I am not a betting man, but I would bet that a strong majority of us use at least one tool that he invented, whether we know it or not. > Anyone who has ever taken a class from LaRoy knows that he is one of the greatest teachers we have ever had (and with the most students, too!) Some years ago, there was an effort to create the LaRoy Edwards Teaching Award, to recognize excellence in instruction. Perhaps it is time to revisit that idea. > Just talked to LaRoy at our chapter meeting and Jane and Susan get the last two. > He said the assembly time is too much. He's almost 90 as he put it. He looks really good. I didn't know he had designed the upright action cradle. He was giving away some old tools, proto types. I got the antique square grand double headed tuning lever,,, Don't tell anybody. > Maybe Laroy would sell the design sheet? > Let's see,, I got the pin setter that keeps the pin from turning, A wooden string height gauge. A custom block for setting the jack sideways in the rep lever hole with out removing the wippen.LaRoy is awesome,,, the Guild should honor him. > Like you, I reached a point (a number of years ago) which dead-lifting a Steinway D action was possible but hard, and I knew that time was passing. I found a folding action cart made by Norm Cantrell, and it has done an excellent job for me. It is lightly built, just strong enough to do its job, but not heavy to carry. > As for doing regulation with the action on the cart, what I do is set samples in the piano, and then I use Jon Page's brilliant and simple "Taut Line Regulation Gauge", which lives in my kit folded into a business envelope. Pianotek sells it. When people first see it, they think that the very modest price is still a lot more than the materials cost -- but one is paying for the extremely intelligent idea, not to mention the ability to work away from home using a tool which weighs about an ounce. If one sets up the cart and taut line tool so one is looking at it against a dark background, with the line set at the exact letoff line, it is very easy to see when the hammer will just touch the taut line. Much easier and more accurate than the conventional set up on my work bench at home. > Another product which has helped me is the "Versacart", sold on Amazon. It is rated for 120 pounds, weighs very little, and folds up so it can be tossed into the back seat. The woman technician who told us about it put in a photo of it holding her action kit, a box or two of tools, and a Kawai grand lyre was laid on top. She instantly sold me on the idea when she said that her folding action cart will hang on the handles. Norm's will, though I have to turn it diagonally to put it on. > Here's the Versacart. I think I'll buy a spare, because I certainly don't want to be without one. The only failing I see in it is that it is awkward to get up a flight of stairs. It even has a flap with velcro to keep the rain out. > Like you, I was recently tempted by watching LaRoy Edwards' YouTube of his action caddy. I kind of wish I had bought one earlier. I found the Flugelbauer site, but their version also didn't appear to be for sale either, and I liked LaRoy's version with metal instead of all wood better. I suppose I might manage to look very carefully at his YouTube and build myself one, but I probably will just carry on with what I have now, which works okay for me. > I know that I've seen both homemade and commercial portable support benches for grand actions, but I can't seem to find them now. I have problems lifting heavy (and wide) items, so I'd need some kind of portable (as in able to transport by car) table/wagon, preferably on wheels, which could serve as a work bench for a grand action. > Does anybody know of a manufacturer, or has anyone made a clever own version for this very purpose? > You are subscribed to "Pianotech" as hgreeley@sonic.net. To change your subscriptions, go to http://my.ptg.org/preferences?section=Subscriptions&MDATE=756%253d458478&UserKey=3feecf45-4a69-4cff-bbb2-fd6c7eaf0569&sKey=KeyRemoved. To unsubscribe from this community discussion, go to http://my.ptg.org/HigherLogic/eGroups/Unsubscribe.aspx?UserKey=3feecf45-4a69-4cff-bbb2-fd6c7eaf0569&sKey=KeyRemoved&GroupKey=2bb4ebe8-4dba-4640-ae67-111903beaddf. Norman Cantrell, RPT sells a portable Grand action cart. His cart has a top which you can place an upright action on. Click the following link to see Norman Cantrell's Grand action cart . All of the items mentioned are absolutely great. Norman Cantrell's cart is exceptionally nice. 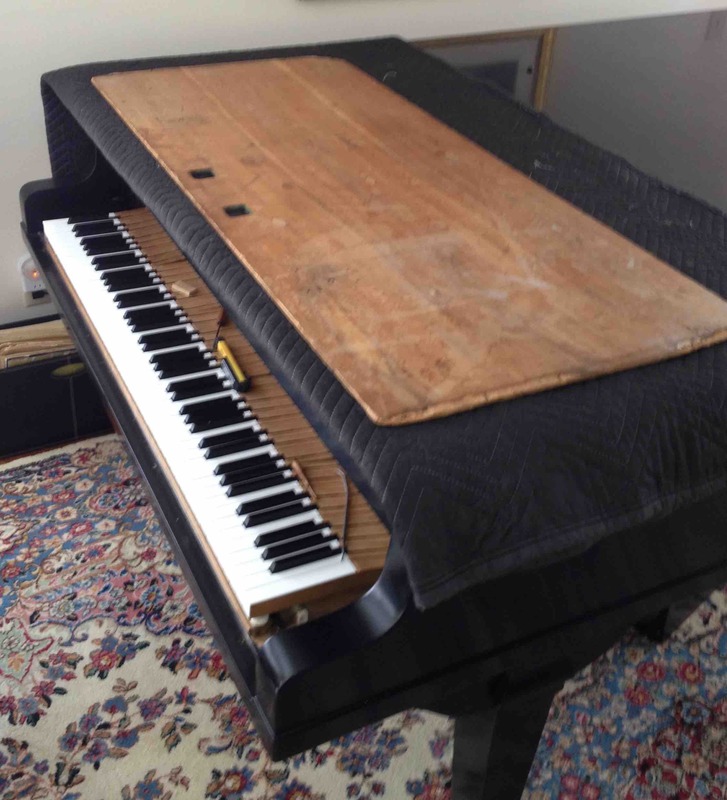 Adding a tabletop in wide configuration or narrow configuration is easily accomplished but this saves weight, takes up little space in the van, easily rolls the action out of the way for damper access, is plenty sturdy for typical repairs or even for a few regulating points out of the piano. Feel free to contact me directly if you have any questions. I got my VersaCart a week ago, and it's already helped me a lot -- thanks Susan and Alan! The LaRoy caddy is currently is currently being processed in customs here in Finland, so I'll probably get it this week! The timing is perfect -- I'm currently working on a Fazioli 278 in the concert hall over here, and as of now, I have to bring an assistant to get the action in and out of the piano. When my financial situation permits, I'll most likely get Norm's cart, too. It seems like a very good tool, not least because of the "mobile service bench" option. So thank you all, once again, for all your help! I'd also like to mention another tool that helps a lot when you don't need to get the action completely out of the piano. The Grand action support kit from Pianotek allows you to pull the action out much farther than normally. It's perfect for working with the action in the piano, sliding it in and out quickly to make adjustments. Here's a pic attached. Mine is made out of aluminium, but I don't think there should be any practical difference. I'm so glad that the hints are working well for you, Patrick. Melanie Brooks told me that LaRoy is making a few more caddies. I'll get mine soon! "I got my VersaCart a week ago, and it's already helped me a lot -- thanks Susan and Alan!" You're welcome, Patrick. I learned about the VersaCart from Joyce Meekins, RPT. A network like this is such a blessing to have. Another big thank you, Alan, for steering me in the direction of the LaRoy Caddies! A beautiful sight. LaRoy will be sending me a caddy in a week or two now. I'm really glad he's still willing to make me one. I think I'll buy a spare Versacart as well.